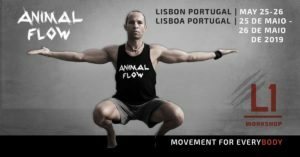 Animal Flow L2 is a where you’ll take your AF practice to a higher level of understanding. 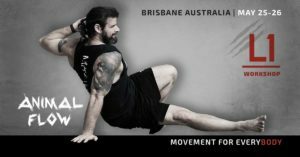 Learn 10 new moves, as well as progressions for hand balancing. 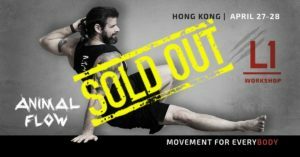 Delve into more advanced concepts like energy transfers, tempo changes and using animal locomotion in flows. 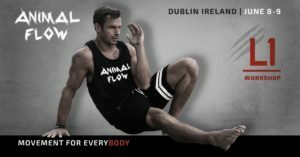 Animal Flow AFD is an intense workshop focused solely on helping you design and execute higher level flows. Learn new moves and trickier transitions, with emphasis on dramatizing the movements and bringing in your personal flair. AFL1 es un taller intensivo de 2 días (12 horas) en el que aprenderás los 30 movimientos del Nivel 1, incluidas regresiones, progresiones y variaciones para todos los niveles de habilidad. Explore cómo usar cada movimiento individualmente, y luego únalos en flujos integrales. AFL1, regresyonlar, ilerlemeler ve tüm beceri seviyelerinin varyasyonları dahil olmak üzere 30 Seviye 1 hareketinin tümünü öğreneceğiniz yoğun bir 2 günlük (12 saat) çalıştaydır. Her hareketi ayrı ayrı nasıl kullanacağınızı keşfedin ve daha sonra bunları kapsamlı akışlara bağlayın. 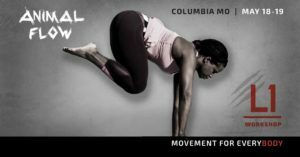 Colorado Athletic Club Flatirons, 505 Thunderbird Dr.
Il laboratorio Animal Flow® Livello 1 è un intenso due giorni in cui imparerai tutte le 30 mosse di Livello 1, incluse regressioni, progressioni e variazioni per tutti i livelli di abilità. Scopri come utilizzare ogni movimento da solo e poi uniscili in flussi completi. Diventa un insegnante e un motore migliore!